Google is expanding the availability of its Hire recruiting app to Canada (and the U.K.). The search giant first launched the app in the U.S. back in July, 2017. Hire creates a one-stop recruiting dashboard for the company’s enterprise customers. 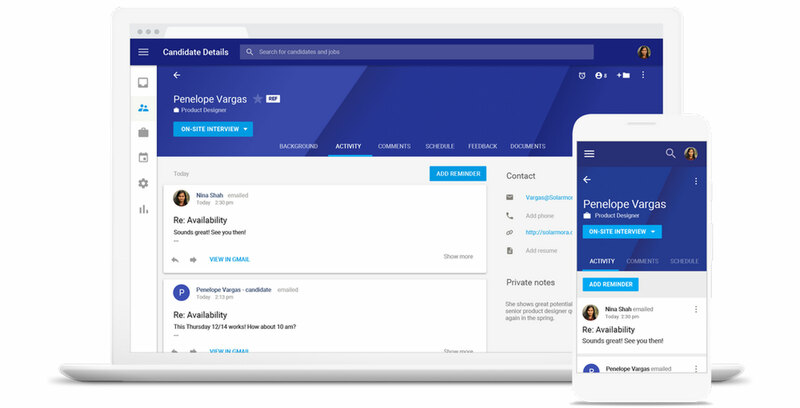 In addition, as a part of G Suite, Google’s cloud computing, productivity and collaboration software lineup, Hire integrates seamlessly alongside other G Suite apps. For example, emails and calendar invites sent through Hire automatically sync with Gmail and Calendar, respectively. Similarly, Hire users can track and visualize candidate data through Sheets. Google says it has spent the past several months testing Hire with a variety of Canadian companies, including Mirego, a digital consulting firm based in Quebec City. According to data collected by Deliotte and cited by Google, it takes on average 52 days to fill an open corporate position and some $4,000 USD to interview and assess potential employees. The company’s hope is that Hire will help companies make their recruiting process more efficient.